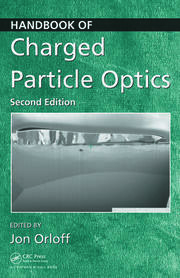 Classical Charged Particle Beam Optics used in the design and operation of all present-day charged particle beam devices, from low energy electron microscopes to high energy particle accelerators, is entirely based on classical mechanics. A question of curiosity is: How is classical charged particle beam optics so successful in practice though the particles of the beam, like electrons, are quantum mechanical? 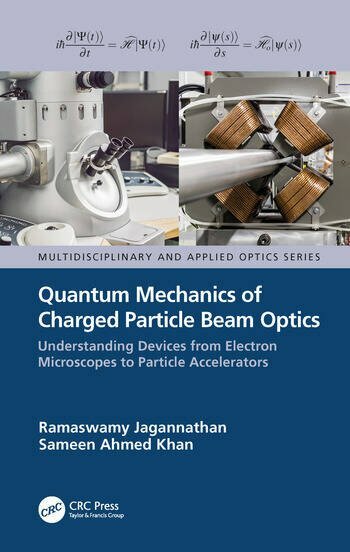 Quantum Mechanics of Charged Particle Beam Optics answers this question with a comprehensive formulation of ‘Quantum Charged Particle Beam Optics’ applicable to any charged particle beam device. 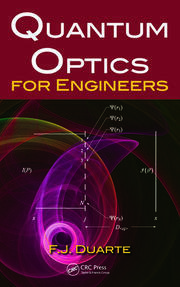 Classical Theory of Charged Particle Beam Optics. Fundamentals of Quantum Mechanics: States of a Quantum System. 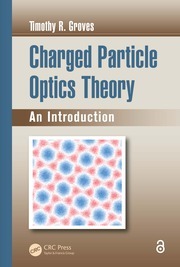 Quantum Theory of Charged Particle Optics. Quantum Theory of Non-Relativistic Charged Particle Beam Optics. Applications of Nonrelativistic Quantum Theory. Quantum Theory of Relativistic Charged Particle Beam Optics. Dr. Sameen Ahmed Khan is an Assistant Professor at the Department of Mathematics and Sciences, College of Arts and Applied Sciences, Dhofar University, Salalah, Sultanate of Oman (http://www.du.edu.om/). He got his PhD (Theor. Phys.) at the University of Madras, Chennai, India, in 1997. His PhD thesis, done at The Institute of Mathematical Sciences (IMSc), Chennai, under the supervision of Prof. Ramaswamy Jagannathan, was on the quantum theory of charged particle beam optics. He did postdoctoral research at the Istituto Nazionale di Fisica Nucleare (INFN), Padova, Italy and Universidad Nacional Autónoma de México, Cuernavaca, México. He has thirteen years of teaching experience in Oman. He has developed a unified treatment of light beam optics and light polarization using quantum methodologies. This formalism describes the beam-optics and light polarization from a parent Hamiltonian, which is exact and derived from the Maxwell equations. He has authored three books, seven book chapters, and about sixty technical publications in journals and proceedings of repute. He has over 200 publications on science popularization. Dr. Sameen is one of the Founding Members of the Ibn al Haytham LHiSA Light: History, Science and Applications (LHiSA) International Society set up during the International Year of Light and Light-based Technologies. He is a signatory to six of the Reports on the upcoming International Linear Collider. Prof. Ramaswamy Jagannathan retired in 2009 as a Senior Professor of Physics from The Institute of Mathematical Sciences (IMSc), Chennai, India. He is currently an Adjunct Professor of Physics at the Chennai Mathematical Institute (CMI), Chennai. He got his PhD (Theor. Phys.) from the University of Madras, Chennai, India, in 1976, working at IMSc. His PhD work on Generalized Clifford Algebras was done under the guidance of Prof. Alladi Ramakrishnan, the Founder-Director of MATSCIENCE as IMSc was known popularly at that time. He has authored/co-authored about 80 research papers in various branches of Physical Mathematics, like Generalized Clifford Algebras and their Physical Applications, Finite-Dimensional Quantum Mechanics, Applications of Classical Groups, Quantum Groups, Nonlinear Dynamics, Deformed Special Functions, and Quantum Theory of Charged Particle Beam Optics with Applications to Electron Microscopy and Accelerator Optics. In particular, his paper with Prof. R. Simon, Prof. E. C. G. Sudarshan, and Prof. N. Mukunda (1989) on the quantum theory of magnetic electron lenses based on the Dirac equation initiated a systematic study of the Quantum Theory of Charged Particle Optics. This theory was subsequently developed vastly by him and his collaborators (in particular, his PhD student Dr. Sameen Ahmed Khan).